As Hitler transported tens of thousands of communal objects to Prague, their owners were rounded up and shipped first to a city built northwest of Prague in 1780 by Joseph II. Ironically, this city served as a fortress to protect Prague from invaders to the north. Joseph II named this village after his mother, Maria Teresia, calling it Terezin. Hitler, the world was to be told, had built a city for the Jews, to protect them from the vagaries and stresses of the war. A film was made to show this mythic, idyllic city to which his henchmen were taking the Jews from the Czech Lands and eight other countries. Notable musicians, writers, artists, and leaders were sent there for “safer” keeping than was to be afforded elsewhere in Hitler’s quest to stave off any uprisings or objections around the so-called civilized world. This ruse worked for a very long time, to the great detriment of the nearly two hundred thousand men, women and children who passed through its gates as a way station to the east and probable death. The Red Cross was allowed to visit Terezin once. The village of Terezin was spruced up for the occasion. Certain inmates were dressed up and told to stand at strategic places along the specially designated route through Terezin. Shop windows along that carefully guarded path were filled with goods for the day. One young mother remembers seeing the bakery window and shelves suddenly filled with baked goods the inmates had never seen during their time at Terezin. Even the candy shop window overflowed with bon bons creating a fantastic illusion she would never forget. When the Red Cross representative appeared before this young mother, she remembers being asked how it was to live in Terezin during those days. Her reply implored the questioner to look around. Be sure and look around, as she herself rolled her own widely opened eyes around in an exaggerated manner. The Red Cross reported dryly that while war time conditions made all life difficult, life at Terezin was acceptable given all of the pressures. The Red Cross concluded that the Jews were being treated all right. There were so many musicians in Terezin, there could have been two full symphony orchestras performing simultaneously daily. In addition, there were a number of chamber orchestras playing at various times. A number of distinguished composers created works at Terezin including Brundibar or the Bumble Bee, a children’s operetta and a number of chamber compositions which only now are being resurrected and played in Europe and the United States. Terezin developed a deep feeling of family according to many of the survivors. As larger numbers of people were crammed into smaller spaces, a sense of community deepened. In the town of Terezin, the population had normally been around 5,000 people before the war. At the height of the war, the Ghetto/Concentration Camp Terezin held over 55,000 Jews. As a consequence, starvation and disease proved rampant. Thousands died of malnutrition and exposure. 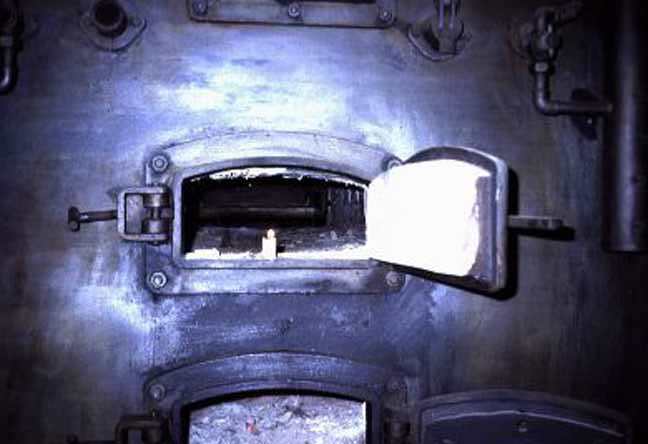 Their bodies were cremated at the small crematorium with its four gas ovens. This was not a death camp, by the usual definition. There is no way to compare Terezin to Auschwitz-Birkenau or Treblinka or any of the other death camps where hundreds of thousands were gassed or murdered in other ways each year. Terezin, by comparison was a place to which people would apply so as to avoid a worse fate. The elderly and families were brought in large numbers to Terezin. Then, in large groups, they were transported to the east, to Auschwitz-Birkenau, when it was fully operational in late 1942. There, the elderly were sent immediately to the gas chambers while the younger inmates who still could work, were temporarily spared. Terezin families were, in some instances, kept together at Birkenau, in family barracks, until their fate was met. 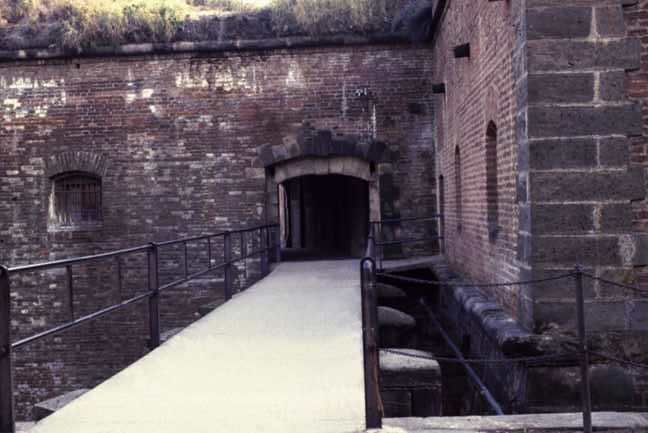 The Little Fortress at Terezin, a star-shaped thick-walled fortress, had long served as a prison. Few people were incarcerated here from the time it was opened in 1780 to Hitler, the one exception being the assassins of Archduke Ferdinand and his wife in 1914. The Nazis brought political prisoners and others to this hellish place never to emerge again. It was here that the Jewish artists were sent after having been caught stealing paper and other supplies with which they produced writings that recorded daily life in Terezin. It was their work which allowed the outside world to know dramatically about life in Terezin. These artists also stole materials so the children could surreptitiously create their works of art. Six thousand drawings were hidden and later successfully retrieved to be displayed telling their poignant stories to thousands of viewers in Prague, Israel and at the U.S. Holocaust Memorial Museum in Washington, D.C. Between October 16, 1941, and liberation on May 8, 1945, more than 155,000 Jews passed through Theresienstadt. Roughly 80 percent of them died – 35,440 perished in the ghetto and 88,000 were deported to be murdered. Fewer than 3,100 of these deportees are known to have survived. More than 2,400 either escaped or were released by the Germans in 1945. When Soviet troops entered Theresienstadt on May 9, 1945, they found 16,832 Jews. After liberation, more than 1,500 died. Altogether, approximately 263,000 Czech Jews perished during the war, including 15,000 children. Only 132 children were known to have survived. Today, the names of the victims are displayed on the walls of the Pinkas Synagogue. In June 2018, a new monument was unveiled at the site of the camp to honor the victims of the Holocaust. “At Unveiling of New Terezin Monument, European Jewish Leader Warns ‘Lessons of Holocaust Have Been Forgotten,’” Algemeiner, (June 4, 2018).